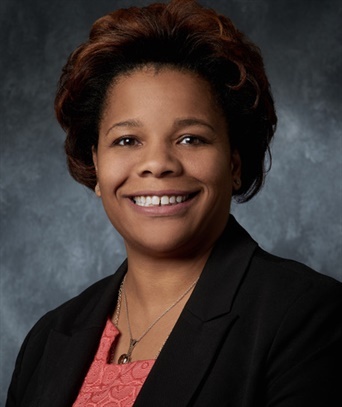 Ramona Hood, vice president of customer operations, transportation logistics at Genco, a FedEx company, has received the sixth annual Influential Woman in Trucking Award, presented by the Women In Trucking Association and Freightliner Trucks. Hood was announced as the honoree during the panel discussion of career satisfaction and productivity at the recent Women In Trucking Accelerate! Conference and Expo in Dallas. Hood was presented the award by Mary Aufdemberg, chairwoman of WIT and Freightliner's director of Product Marketing. Hood joined FedEx in 1991 and has served in several leadership positions within the company, including with FedEx Truckload Brokerage and FedEx Custom Critical. She has received other honors in her career, including Crain’s Cleveland Women of Note 2016, Smart Business, Progressive Women in 2016, and Woman of Inspiration Award, Walsh Women of Distinction 2013. The Influential Woman in Trucking award recognizes women in the trucking industry who make or influence key decisions, have a proven record of responsibility, and mentor and serve as a role model to other women. The award was introduced in 2010 to honor female leaders in trucking and to attract and advance women within the industry. This year’s finalists of the Influential Woman in Trucking award also included Sherri Garner Brumbaugh, president and CEO, Garner Trucking Inc.; Elise Chianelli, director of product management, safety & compliance, PeopleNet; Karen Jones, executive vice president and chief marketing officer, Ryder System; and Carolyn Gable, president and CEO, New Age Transportation.